An oilfield services company that laid off almost two-thirds of its workers over the past two years is now warning it can't find enough new staff to take full advantage of a recent increase in activity. An oilfield services company that laid off almost two-thirds of its workers during the darkest days of the two-year-old energy slump is now warning it can't find enough staff as its customers react to improvements in commodity prices. Calgary-based Essential Energy Services cut more than 400 workers in 2015 and almost 250 earlier this year, dropping its staff count from almost 1,000 to a low point of 343 last March. On Thursday, it said it's hiring again. Demand in Western Canada for its well completion and production services has been rising. "For Essential, activity has improved in Q4 2016 ... we are continuing to hire in Q4 2016 in anticipation of a busier winter season," CEO Garnet Amundson told a conference call Thursday. But he warned: "If this continues, due to staffing reductions early in the year, we could become constrained in our ability to supply equipment in the short term." He said Essential has grown its staff to about 440 at the end of October, but still wants to hire an additional 40 to 50 workers. The Petroleum Services Association of Canada issued a forecast last week calling for 4,175 wells to be drilled in Canada next year, up about six per cent over 2016, but 63 per cent lower than the number drilled in 2014. PSAC president Mark Salkeld said the modest rebound is unlikely to encourage workers to return to what many now see as an unreliable paycheque. Oilfield services workers are often paid only when their equipment is working and are laid off when it isn't, he said. "I'm not surprised. People have moved on ... they've gone home," he said. "They're not coming back to this industry for one winter's worth of work and we can't guarantee them work beyond the winter." Amundson said Essential has had to increase hourly wages in recent months to prevent workers from leaving to work for rivals who are also hiring, reversing some wage rollbacks it imposed over the past two years. "There has been a change in labour dynamics during the third quarter ... in terms of supply and demand and wages," he said, adding higher costs aren't being matched with higher rates from clients for its services. "Quite simply, we believe pricing has bottomed but isn't increasing and, yes, we have had to incur wage increases so, by definition, that will result in short-term (profit) margin compression." Analyst Andrew Bradford of Raymond James said he, too, has been hearing complaints about shortages of specialized field staff, especially from the well completion companies he covers. "In a very active oilfield, which isn't what we're in at all, this would be the norm," he said. "Trying to find incremental qualified staff is very difficult." He said the bright side of a tighter labour supply is it points to a potential recovery in pricing for the sector. Essential reported a net loss of $3.8 million in the three months ended Sept. 30 on revenue of $30 million, versus net income of $2.9 million on revenue of $48 million in the same period of 2015. 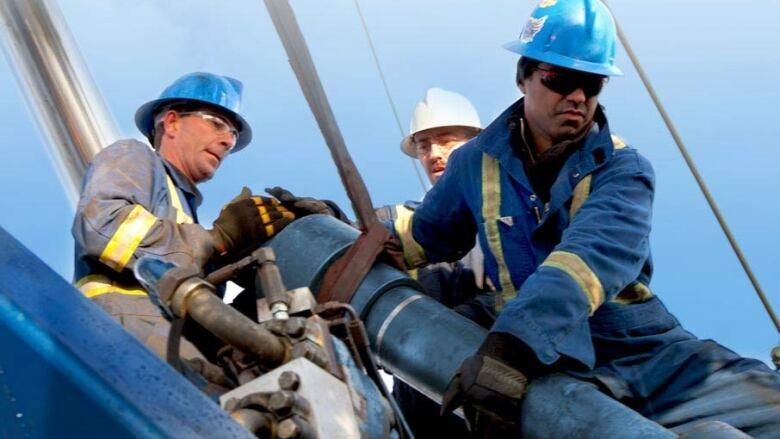 The Canadian Association of Petroleum Producers estimates at least 44,000 direct jobs have been lost in the oil and gas industry since the downturn started.